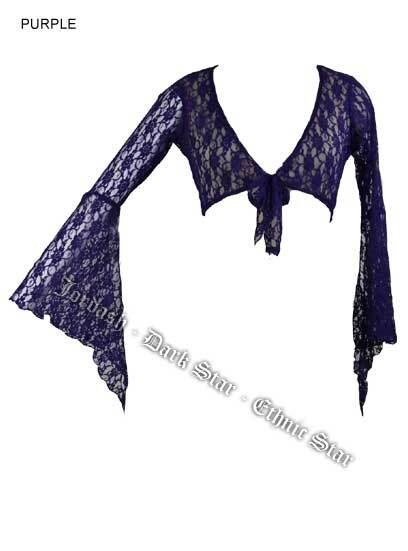 Dark Star Purple Floral Lace Gothic Shrug Cardigan [DS/BL/20FP] - $52.99 : Mystic Crypt, the most unique, hard to find items at ghoulishly great prices! Dark Star Purple Floral Lace Gothic Shrug Cardigan. 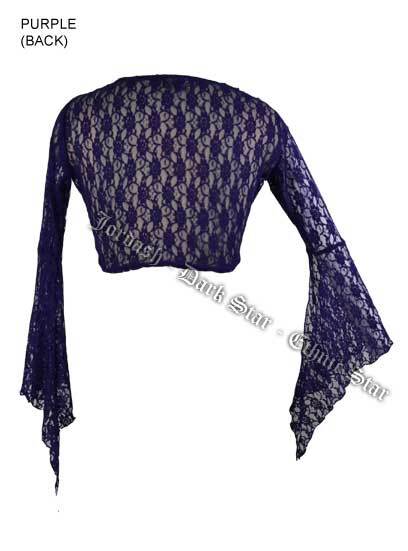 This pretty Gothic cardigan/blouse is made from stretchy floral purple lace, ties to the front and has witchy flared sleeves. The material is very stretchy and will fit a variety of sizes.